It may be the 24th day of the first month of 2018, but I’m not quite ready to wave goodbye to 2017 yet. Unlike 2016, which was universally hated by everyone, 2017 sort of divided the masses. Some people had a great year, some were glad to see the back of it. I personally give 2017 a rating of “pretty good”, if only because it was the first year for nearly half a decade that nothing monumentally awful happened! There were also some really, really nice moments and before I get firmly stuck into all the surprises that 2018 will bring, I thought it might be nice to have a look back through my 2017 photo album and reminisce over some of the highlights. We started the year as we meant to go on with the first of MANY theatre trips, including the Strictly Come Dancing Live Tour. It was such an enjoyable evening and I am slightly gutted that I couldn’t get tickets to go back again this year. This Winter photoshoot featuring this gorgeous tartan dress from Dresslily is still one of my favourite that I’ve done. I’ve worn this dress to death over the past 12 months and I still get so many compliments when I wear it. January saw a big milestone in our house, as Mini Mess put on her school uniform for the first time. She’s only in nursery at the moment, full time school comes this September, but it was still a pretty big moment for all of us. Mr Mess and I had been saying we wanted to visit Fountains Abbey in Yorkshire for years and I finally managed to organise it for our Valentines’ Day/Anniversary day out. It was stunning and we had such a lovely day, plus managed to get one final use out of our National Trust cards before they expired. Bonus! Another photo, another fabulous day out, this time at Thomas Land, in Drayton Manor park. It’s one of our favourite destinations for a family day out, the majority of the rides are the perfect size for the kids and we all had a brilliant time. I have absolutely no doubt that March 2017 will feature in the Best Bits of my Whole Life post that I imagine I’ll be drafting up on my death bed and will be summarised in one word: Oklahoma! 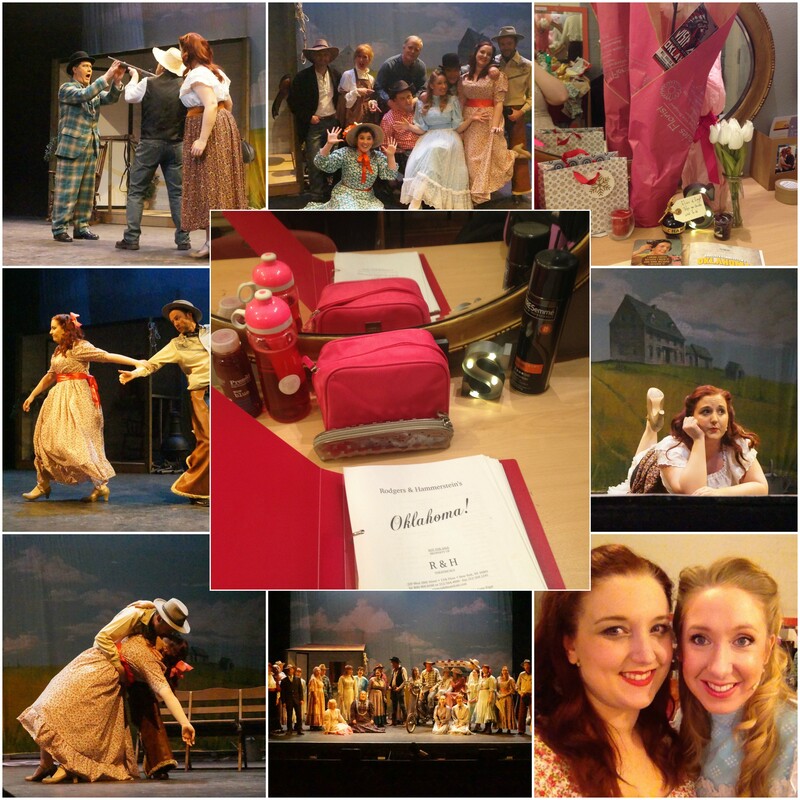 Yep, in case you weren’t aware from the numerous blog posts, Instagram photos and tweets, March 2017 saw me treading the boards in my first ever principal role as Ado Annie in Oklahoma! I had a simply fabulous week, with a brilliantly talented bunch of people and these 9 photos could easily have been 100. There are just too many good memories to share them all. Due to a number of prior commitments in March, it took us a while to get to Chatsworth House to see the opening of the 2017 exhibition, House Style. Featuring some mind-blowing fashion from throughout the ages, including this gorgeous John Galliano/Christian Dior dress and it secured a place in history as one of my favourite Chatsworth exhibitions ever. It’s always great to meet someone who shares your interest and in 2017 I was lucky enough to get to know Ellie from Unique Love Style who, like me, is a lover of all things vintage. Together we got dressed in our vintage finery and went to the Nottingham Racecourse Vintage Race Day. I’ve never been to the races before, but it was a lot of fun and there was so much to see. April saw the beginning of a run of invitations to blogging events (which was still something of a novelty for me.) This last photograph was taken at the Brass Monkey Notts Cocktail Event, where we were treated to some very nice tipple! May? What the heck happened in May? I really don’t have much to show in either my calendar or my photo albums. From looking back over the blog posts from May I noticed that we had a run of sickness in the family, so maybe that’s why we don’t have many photos to share. 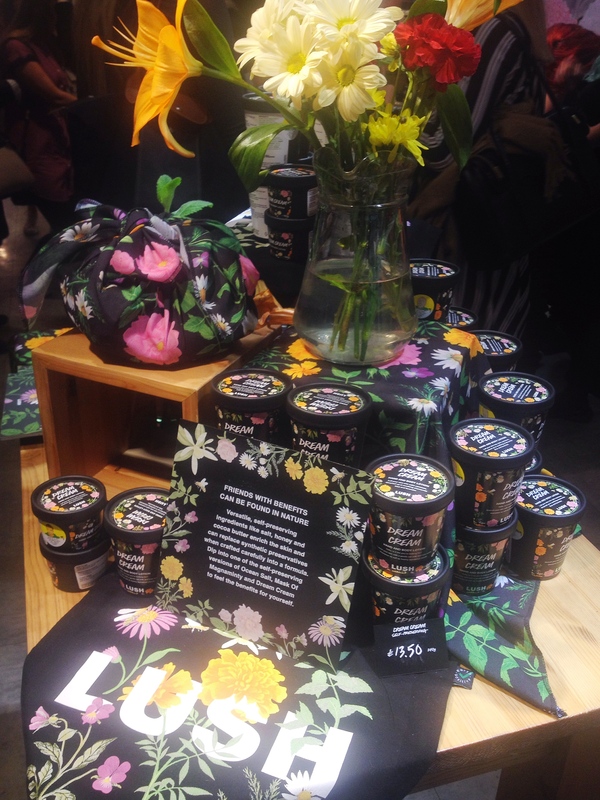 I did find this one photo though, from my first ever Lush blogging event which I LOVED so the month clearly wasn’t a complete write off. By far the most important day in June is Miss Mess’ birthday. Here she is, turning 7, although she would have to wait until July for her official birthday party. June saw the theatrical debut of Mini Mess in a youth production of Aladdin. She looked ridiculously adorable and did REALLY well. I think she’s going to take after her big sister in the drama department. July was a crazily-busy month filled with so many lovely things that it was hard to narrow down my photo selection. I started the month with my proudest blog opportunity yet – an invitation to review the new brunch menu at The Flying Childers restaurant at Chatsworth House. After years of visiting and blogging about Chatsworth, it was fantastic to finally get offered a collaboration with them. Carrying on our theatrical tour of 2017, my parents treated Mr Mess and I to tickets to see The Play That Goes Wrong. It was absolutely hilarious and we all had a fantastic night. As an amateur dramatist, I’ve experienced a few of these mishaps myself. The Chatsworth Garden Friends Garden Party is always a lovely date in our calendar. Mr M packed up a picnic and (unlike last year) the weather was kind, so we had a fabulous evening exploring the gardens and dancing to the live band, before finishing the evening with a spectacular fireworks display. After our Adults-Only trip to the theatre, it seemed only fair to find something more suitable for the kids. We’re all huge fans of The Gruffalo book and the live stage show definitely lived up to expectations. It would probably be one of my favourite theatre trips of the year! We wrapped up Miss Mess’ birthday celebrations with a mummy-daughter shopping trip to Nottingham (where we spent all the pennies) and of course, her long awaited Into The Woods birthday party. Right at the end of July came the most important day in the year – my birthday!! I had a lovely afternoon tea with the kids before heading out for a messy night of cocktail drinking with my sisters. Unfortunately, turning 32 also brought my first ever proper hangover! I’ll have to take it steady from now on! In August, we finally got to go on the Lake District holiday that I had been planning for months. It was pretty much as perfect as a holiday can be. We went on a boat on Lake Windermere, visited the World of Beatrix Potter and ate A LOT of afternoon tea. I really hope we get to go back soon. 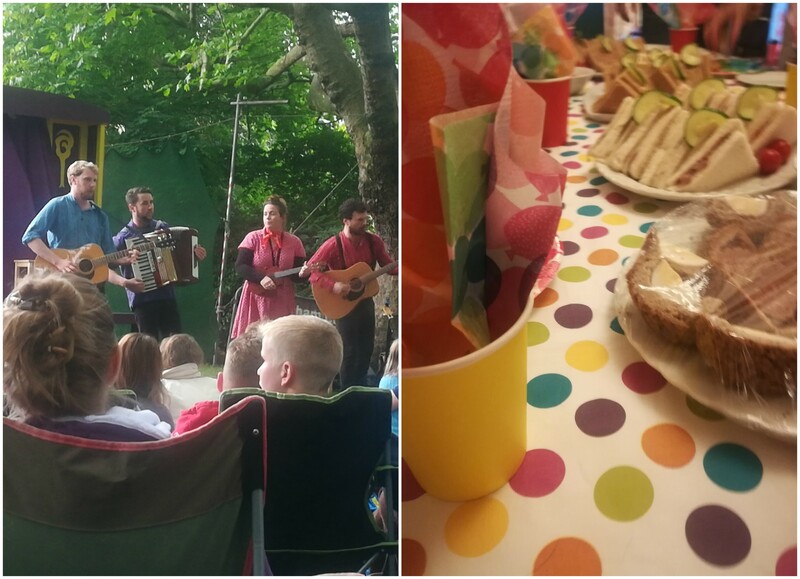 When we weren’t holidaying, we also managed to fit in another trip to see the AMAZING Pantaloons with their production of A Midsummer Night’s Dream and also celebrated Mr M’s birthday with a little impromptu tea party. It was a good month. The Chatsworth Country Fair is always an amazing day out. Sometimes we have an adults-only trip, so we can have a good look around the stalls, but this year it was the kids’ turn to come along. We had a lovely time on the fairground rides, eating yummy food and doing a little shopping. The girls also had a pony ride, which made Mini Mess’ day! The end of September saw the arrival of the long-awaited (and dreaded) Nottingham Half Marathon. It was my first (and probably my last) half marathon, but I did finish it and will always be proud of that. I’ve not been on a run since, though, so I can only assume it didn’t bring out the runner in me. Although Mini Mess’ birthday was actually in September, we couldn’t fit her party in until October. She had a great time, playing with all of her friends on a huge inflatable slide and bouncy castle. I can’t believe she’s 4 already! Crazy For You has long been one of my favourite musicals, ever since I performed in a production of it at school, along with my best friend. We had a girly night out at the theatre, and if I didn’t think it was the best production I’ve ever seen, it was still fun to walk down memory lane. A friend at work gifted my a family pass to Woburn Safari Park, so on a whim we took a drive out with the girls. I’m SO glad we did as it ended up being a fabulous day. The girls were perhaps a little underwhelmed by the drive-through safari, that was until a monkey hitched a ride on our car! Mini Mess laughed so hard I thought she might wet herself! 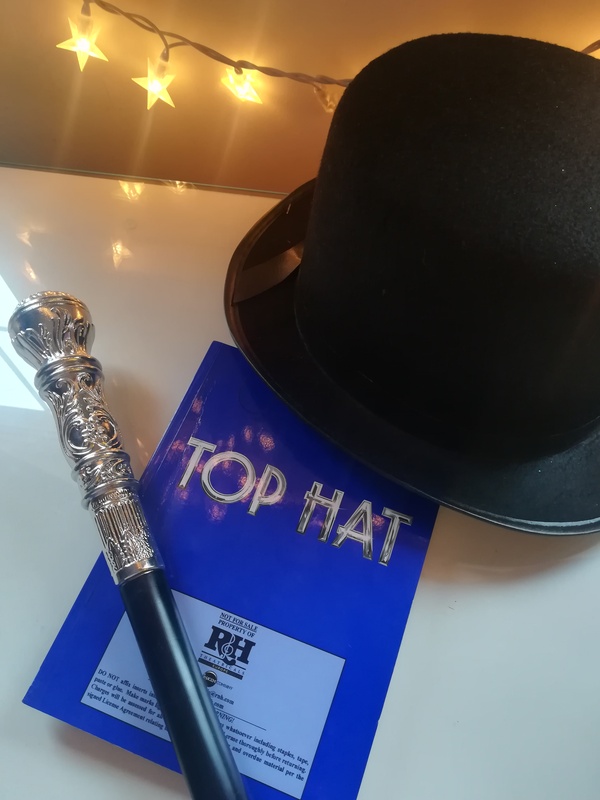 What started out as a “I’ll just pop along to see what it’s all about”, turned into a “Oh go on then, I’ll audition but probably won’t get in” and soon became “I’m performing in Top Hat at the Theatre Royal in May!” The whole process was a bit of a whirlwind but we’re now two weeks into rehearsals and popping along to that first session was one of the best spontaneous decisions I’ve ever made. The opening of the Chatsworth Christmas display is by far one of my favourite days of the year and this year was no exception. The theme this year was “Oh Dickens, it’s Christmas” and I loved it so much we revisited a number of times. I already can’t wait to see what Chatsworth comes up with for next year’s theme. Also helping us to get into the festive spirit was the girls’ latest youth theatre production of Elf, the musical. I think this was my favourite out of all the shows they’ve done. The music is fabulous and the girls both looked so adorable! And so we reach December, which was only last month, but feels like it was much longer ago. I bloody love December, it’s just full of festive, sparkly goodness. 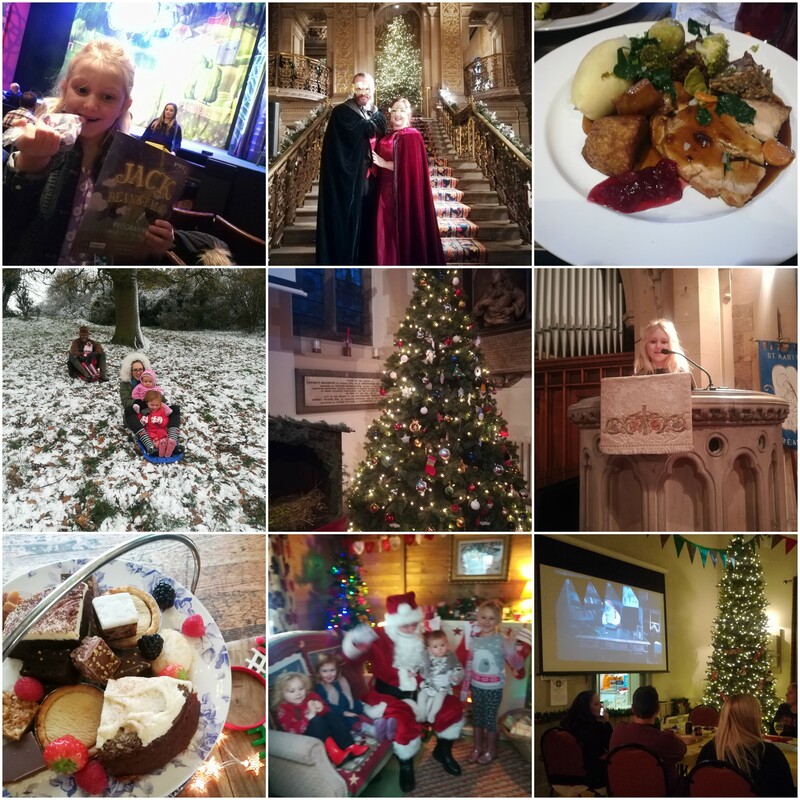 As usual, we crammed so much into 31 days including pantomime, the Chatsworth masquerade, family dinners, family parties, sliding, a church nativity service, a blogging winter workshop and a trip to see Santa! Phew! Sadly, from Boxing Day we all got struck down with various colds and tummy bugs, but at least we got plenty of rest in the run up to New Year’s Eve. And there you have it. Another year over and done with. We’ve already got a number of things planned for 2018 o hopefully it should shape up to be just as good! Keep checking back on the blog to see what we get up to! This entry was posted in Life Lately, Lifestyle and tagged 2017 review, photographs.